Valentine’s Day is the day of love and I love decorating for this holiday. 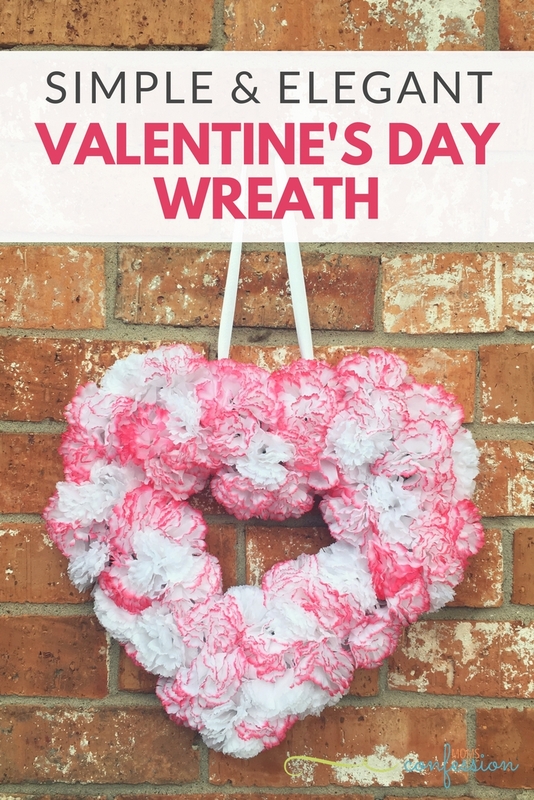 This Valentine’s Day Wreath is a great easy to assemble idea that will fit not just into your budget, but into your heart! I love switching out wreaths on our door for the seasons, and this one is definitely a new favorite! 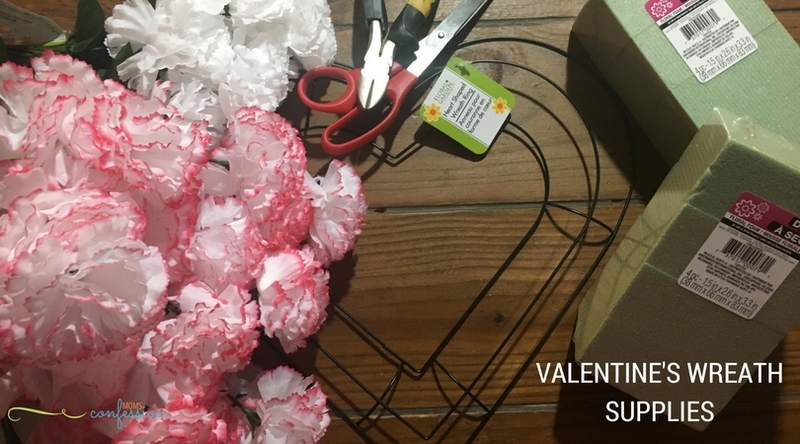 I grabbed my supplies for this Valentine’s Day Wreath at my local Dollar Tree, but you can easily order from Amazon. The heart shaped wreath form can be tough to find unless it is really close to Valentine’s Day. 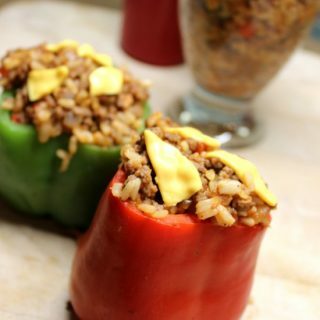 I like making these ahead of time, so if you want to order ahead, check the link below for the form online. Place floral foam on the backside of the heart wreath form and lightly press down. Trim with scissors and fit the floral foam snugly into place on the wreath form. 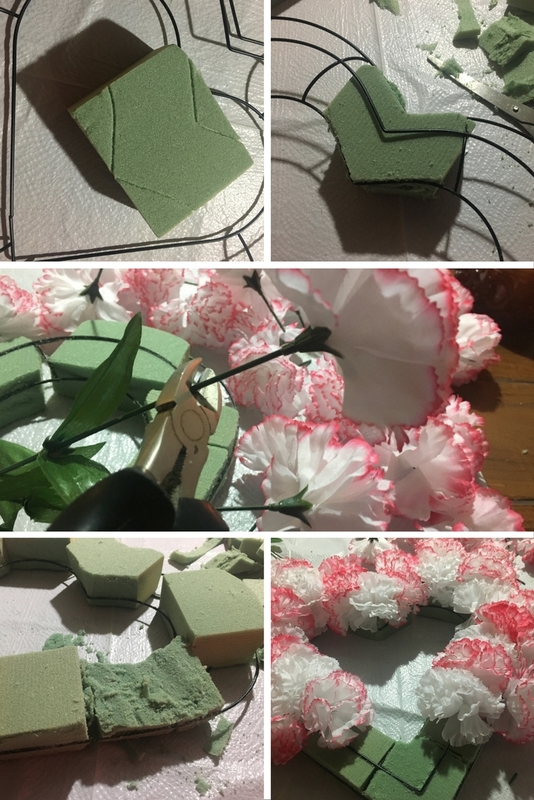 Continue steps 1 & 2 until you have all the floral foam trimmed to fit in the heart shaped wreath form. After all the floral foam is in place, trim the backside of the form to reduce the amount sticking out on the backside of the wreath form. Leave approximately 1/4″ sticking out to hold the foam in place. Next, trim the flowers from the floral bundle using the wire cutters. Cut the stem about 1 inch below the flower. Lastly, pick a starting point on the wreath form and stick the flower into the form. Continue closely adding flowers around the form until the form is completely covered. Add the white ribbon to the around the backside of the heart wreath form and make a knot to hang from a wreath door hook. As you can see, this Valentine’s Day Wreath is a great addition to your door this year. It is simple, elegant, and beautiful. I love knowing that it doesn’t cost a ton of money to add a bit of beauty to our home for every holiday. A great holiday wreath like this is all you need to make your front door pop with color and beauty! You can mix and match flowers and ribbon to create a unique look you prefer. 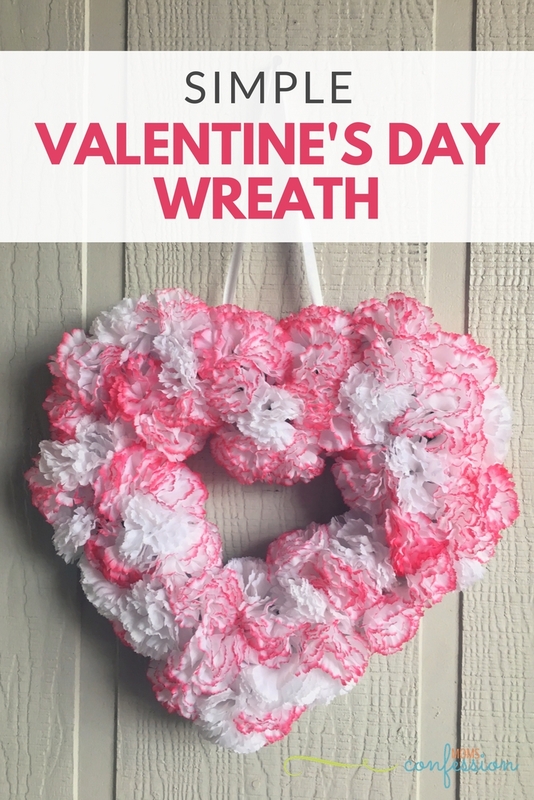 I love the classic white, red, and pink colors that are common with this Valentine’s Day wreath, but you may prefer something different. No matter what you choose, this is an easy holiday-themed craft you’ll love.